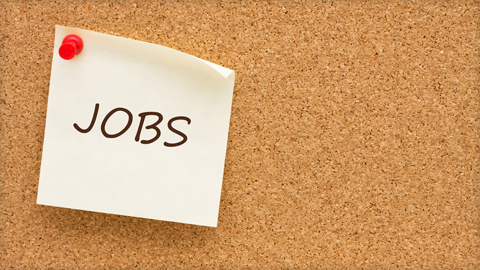 Job post is the common way that an organization communicates with the public about a vacant position that it wishes to fill. The posting allows the organization to communicate to the public what it wants in the person who fills the job. A job post with useful information able to achieve a win-win situation which not only benefit employers to attract more applicants but also help applicants understand more about the job and company. As a job seeker, title is the first thing to look for before understand the job deeper. When you write your title, include the name of the position and the top one to three things that will make the job attractive to an applicant. Some companies have unique job titles or titles that don’t reflect the norm in their industry. For example, some large company that gives their sales professionals the title of Marketing Representative. This job title will cause job seekers who look for sales job wouldn’t apply this role as they are not assuming it was in marketing. Job description included a broad overview of what the position does. Most of the job seekers priority look for job description and roles after they read the title. You must include full and detail job scope and responsibilities in job description. Provide information on work hours, pay, interesting coworkers, education opportunities, benefits or perks also able to attract more applicants. Requirements for a job included knowledge, skills and ability are the attributes that an individual need to bring into the job to be successful. You must let job applicants know what skill that needed for this position, so that you won’t receive resume from candidates who can’t fulfill your requirements. Provide specific requirements that needed for the role instead of only mention ‘Bachelor Degree in Marketing and 2 years relevant experience’. Set the salary range to let applicants know what the organization is willing to pay for the job. Most of the time applicants feel tacky to ask for salary even salary is their first concern when looking for a job. Therefore, this might cause employers wasting their time to screen through applicants that think the salary offer is under expectation. Sometimes postings will say that the starting salary is “commensurate with skills and experience” or something similar. This can be frustrating for applicants because people want to know what they can expect to make. Make your salary range clear is helping yourself to filter people that require higher salary. Visions, missions, number of employees, working attire and short brief about your company are important to let applicants know culture and style of your company, so that they able to determine whether they suitable to work in your company before they apply. Provide this information also help you reduce the possibility to hire lousy employees.